Email inboxes are bloated, phones are not picked up anymore. Today's sales teams challenge is to be remarkable. And in order to stand out, you need to talk with your customers where they are. Intercom is incredible because it gives you direct access inside a company. How about you reach out to your prospects over Intercom and deliver them a message that will have 80+% chances of being read and answered? This automation has been thought for and developed with sales teams of SaaS products targeting Customer Support. Be at the forefront of sales prospection, try it today. Basically, this automated tool will visit on your behalf a list of websites. Give it your best sales pitch and your email address. For each website it will open the Intercom speech bubble, deliver your pitch and fill in your email address. As soon as the operator answers, you'll be notified by email and can start selling from there. You'll also need to specify the content of your message. And the email address where you want to receive your prospects' answers at. In the target field you'll be prompted for your targets. This can be either one domain. Or a Google Spreadsheet URL containing many domains. These domains don't need to necessarily have Intercom. The tool will detect if Intercom is present and if not, go to the next site. 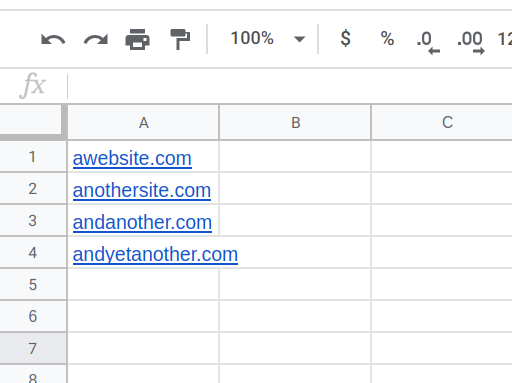 Your spreadsheet should contain a list of URLs (one link per row). You can specify the name of the column that contains the links. Simply enter the column name in the field below. 5. Specify your message and the email address you want to receive answers at. Try to make your message look like you want to start a discussion. Starting by not saying "Hello" and start selling feels really unnatural to the operator and will definitely lower your response rate. Don't forget to fill in your email address. Once a discussion starts on Intercom, you'll receive an email notifying you and can take the discussion from there. It’s done! Click on "launch" to extract your bills once.